Because Hollywood is a betch, comedians like Jonah Hill, who was recently nominated for an Oscar for his role in the Wolf of Wall Street, are often typecast into roles that producers know audiences like to see, and seldom get the opportunity to explore any other types of acting. That is why it draws such a great amount of attention when comedians like Jonah Hill explore different realms of movie roles, such as drama. 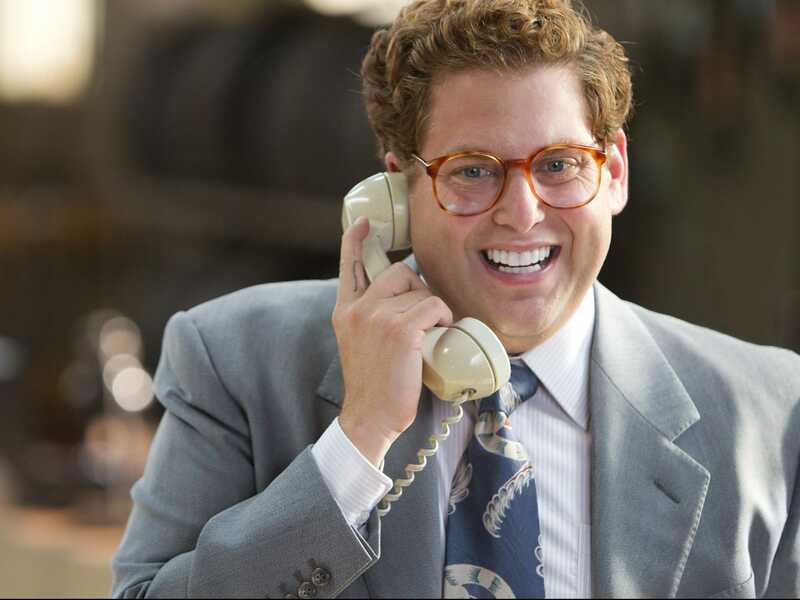 Because we believe that Jonah Hill is a bit overhyped in his latest role, and probably doesn’t deserve an Oscar, we’d like to remind you of ten examples that prove that Jonah Hill is a tad over-rated and should probably stick to his typecast. Due to the fact that we believe that the only reason Jonah was nominated for an Oscar for his portrayal in the Wolf of Wall Street is because people were surprised that he could play any character outside of his typecast. However, they shouldn’t be so quick to praise him when he still hasn’t really proved that he’s a multi-dimensional actor that can play any role put forth. 10. 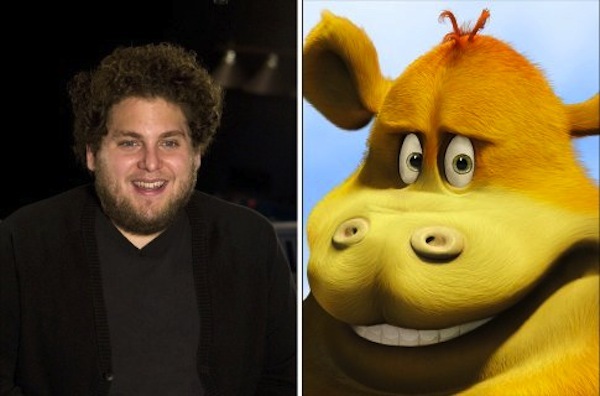 There are just a few things that make Jonah Hill less respectable as an actor, one reason being his choice in kids movies. 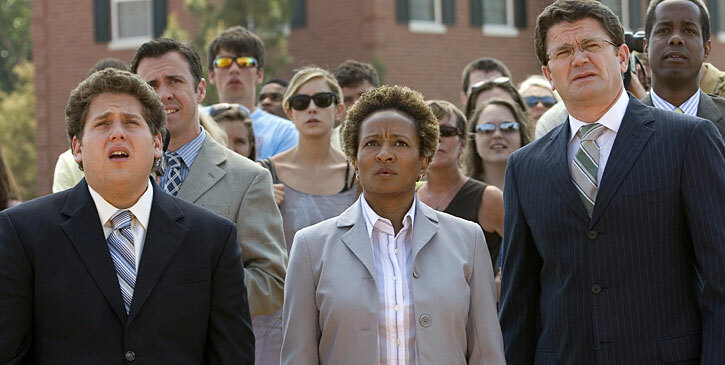 Like, did Evan Almighty really have to happen? No. It didn’t. But the damage is already done. 7. 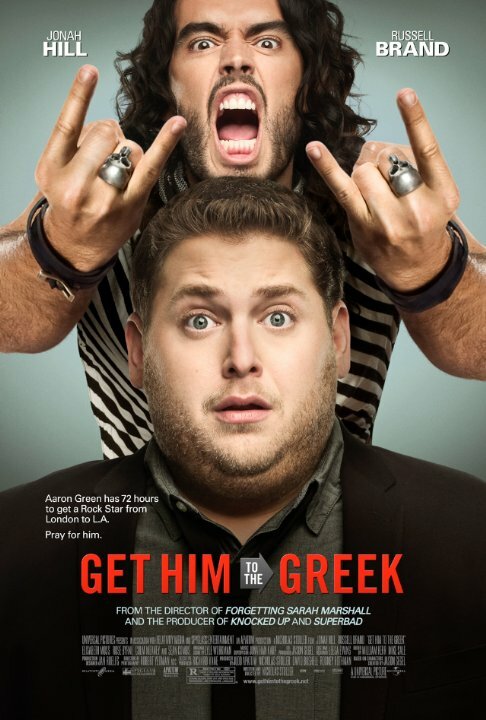 All of his thunder was stollen in one of his best movies, Get Him to the Greek, by none other than Katy Perry’s ex-husband, Russell Brand. Ouch. 6. Last time I checked getting raped on camera by a demon wasn’t a very good career move, but he did it anyway for his cameo role in This is the End. 5. When this movie was one of the most disappointing comedies of all time. 4. 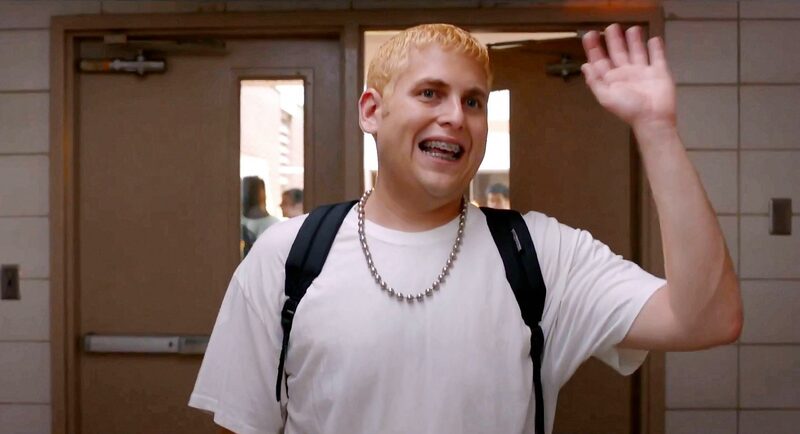 Best career move- dressing up as Marshall Mathers in 21 Jump Street. This should speak volumes. 3. In case you didn’t know, Jonah has already made some attempts at dramatic acting to no avail. Remember the painful-to-watch dramady, Cyrus? If not, it’s rough to say the least. 2. 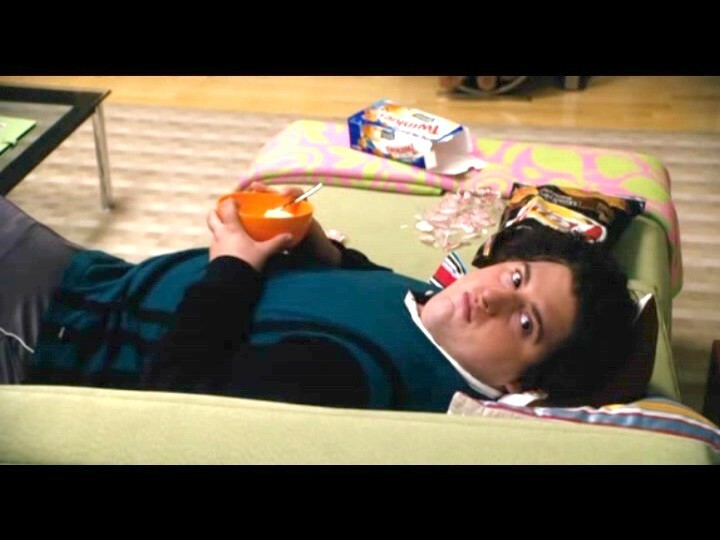 It quickly became increasingly difficult to distinguish any differences in the portrayals of Jonah’s on-screen characters, for he always was seemingly typecast as the funny, nerdy, fat-kid. Here is an example of this seen in the movie Knocked Up. 1. 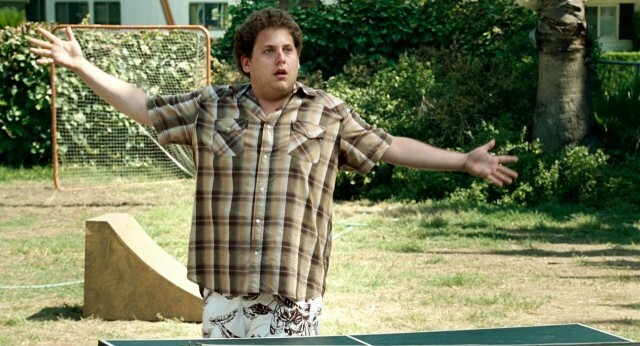 This typecast that Jonah is struggling to deviate from, can all be traced back to his breakout role in Superbad. It’s funny that he and his co-star in the film, Michael Cera, both have been known to not stray too far from playing similar roles every time their in a new movie.